Our April Medicine Buddha puja will be on Saturday April 20, 1.30pm (that's mid day!) at Mona Haetzer's house in Forres. Or Mark on 0770788183 for general info. The Medicine Buddha puja can be dedicated to increase wellbeing and health for oneself and others, for Togme Sangpo study group and other FPMT centers, projects, services; all students who are ill or having life obstacles. It is especially good for humanity at this time. 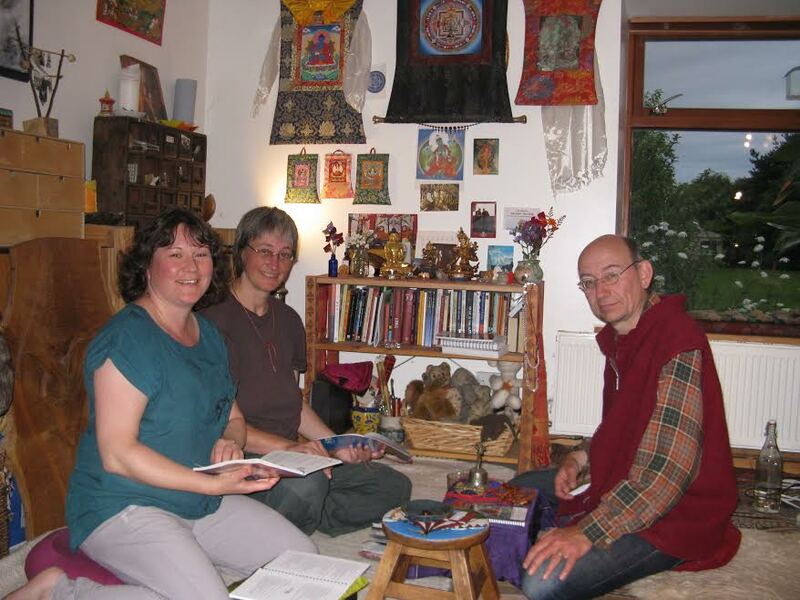 It is a practice recommended by Lama Zopa Rinpoche for each Centre and Study-group.